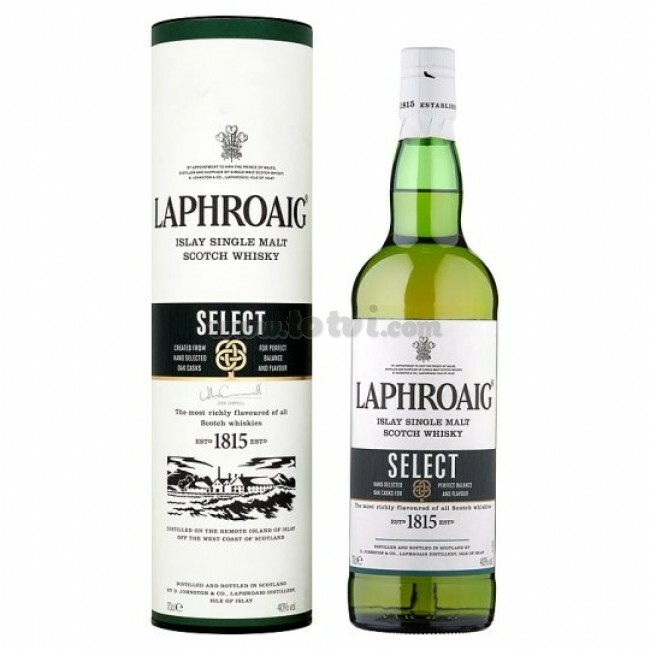 Laphroaig Select is a Scotch Islay Single Malt. Intense and aromatic with fruity notes and marked presence of barrels while in the mouth it has a strong entrance. 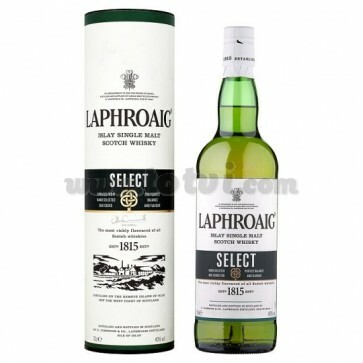 Laphroaig Select is a Scotch Islay Single Malt. Bright golden yellow color, very alive and expressive totally natural. Intense and aromatic nose with fruity notes and marked presence of barrels. In the mouth strong entrance where we perceive its great body and its small sweetness. This whiskey is created from carefully selected barrels from each of the key styles of the distillery: American oak barrels, Pedro Ximénez barrels, Oloroso Jerez barrels and Bourbon barrels. The heart of the spirit is extracted from a final maturation in American oak barrels and a final addition of 10 years, represents a subtle blend of peat, oak and sweetness. This maturation with 6 different flavor combinations helps you to choose the one you like the most and give it a name.